Add the egg, flour and flavouring and mix together. Put in a baking tray and spread evenly. Put in oven and bake for 15-20 mins. Allow to cool and decorate…. 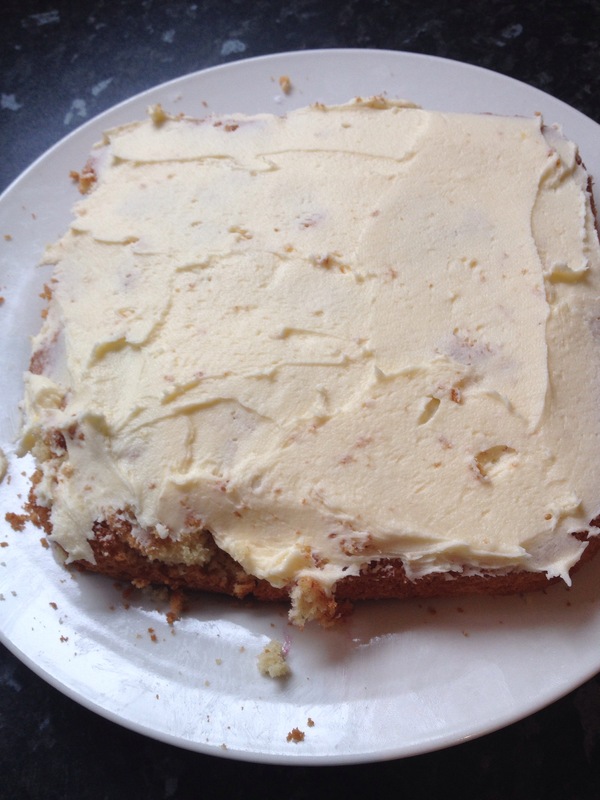 mix the butter, icing and milk together til smooth and spread over the cake. 2) Put the Flour, Ginger and Soda into a bowl and rub in the butter. 3) Add the Sugar and Stir in the Syrup and Egg to make a dough. 4) Roll the Dough out with rolling pin to about 5mm thick and using a shape cutter, cut out the shapes. 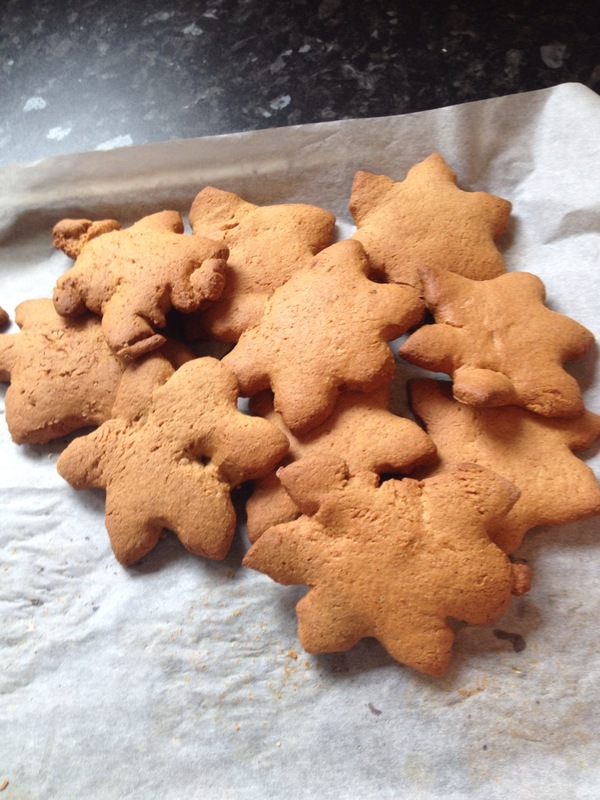 5) Place the shapes onto some grease proof baking paper, and pop in the fridge for 20 mins. 7) Take out of the Oven and cool on a rack before decorating. Parenting is hard and stressful but no one said I would be easy did they. Constantly being on the go, fulfilling commitments, thinking up activites to keep the little ones entertained and stimulated, worrying if you are doing things right, worrying about the future and the past. Worrying if you should have done something different. All kinds of worrying and stressing. So when the kids go to bed, I like nothing better than relaxing and taking my mind off everything. Clipper Snore and Peace Tea, I could rave about this tea all day long. I recommend it to anyone who loves tea. It’s a lovely blend of Chamamile, Lemon Balm and Lavender. You can feel your body sink and relax from the very first whiff, and by the last sip you will wish you were in bed ready to fall asleep. Lavender Essential Oil, the first time I used Lavender Essential Oil was after giving birth to my son, when the physio who came to talk to me about pelvic floor exercises and looking after my ahem stitches recommended for soothing. Then the next time I used it was after my waters broke but before I went into labor with my daughter. It is fantastic for relaxing in the bath, I put 2-4 drops in some milk and pour the lot into my bath under the hot running water. A Nice Hot Bath, i can sit in the bath for hours if the conditions are perfect. Nice hot bath, no kids awake, a nice hot cup of snore and peace tea and either a good book or the iPad with my Netflix, and sometimes I might even take some chocolate along with me. Candles, i have a little white lantern I got from ikea and some lovely scented tealights. Millie Marotta’s Animal Kingdom Colouring Book Adventure, I have just started with this and only completed two pictures but I do find it relaxing. It makes me concentrate opn the intricate detail and so pushes any worries or stress out of my mind. Netflix, I love Netflix. I am addicted. At the moment I am watching The Good Wife. But I am waiting for Orange is the New Black to return. I also have Once Upon a Time waiting on my list. A good book, I’m not reading anything at the moment but I have recently finished The Silver Linings Playlist, by Matthew Quick, and The Night Circus, by Erin Morgenstern. I also have Room by Emma Donoghue waiting for when I’m in the mood to read again. I also have Gone Girl by Gillian Flynn on my wish list for my next book. Hello and Welcome to my Blog! I hope you enjoy what you read. I would love you comments and feedback, and recommendations on blogs, and posts to read and follow. to give me inspiration and motivation to create a learning environment. My new Philosophy is that if my day isn’t worth writing about, then what a waste of a day. At the moment I am playing around and finding my feet so until I get into the swing of things I am writing to a Schedule (see below). If anyone has any tips and advice I would love to hear from you. Thursday: This Weeks Bedtime Stories. Sunday: My Slimming World – My Food Diary.